Good value for money and excellent location. Room over looking the Rhine. Location. Hope next time new room and more safety. Excellent location, great views. We walked all over town! A block from huge Christmarket! Had the family apartment which was perfect! Tons of food and shopping nearby. Staff super helpful! Had lots of recommendation. Great view from room across the river. Location ideal and easy to reach from the train station. Staff was very friendly. The location was perfect for a good time with bars, restaurants, and the Rhine right outside the door. The location was no doubt the best part about this hotel. Centrally located to bars, restaurants, night life and all attractions. You can reach any attraction just by walking. The staff was friendly too. 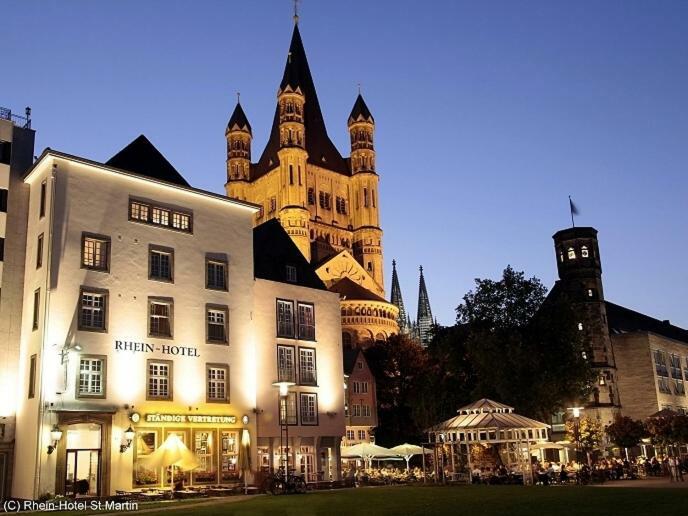 This hotel in Cologne's Old Town offers a quiet location on the Rhine promenade, a 7-minute walk from Cologne Cathedral. 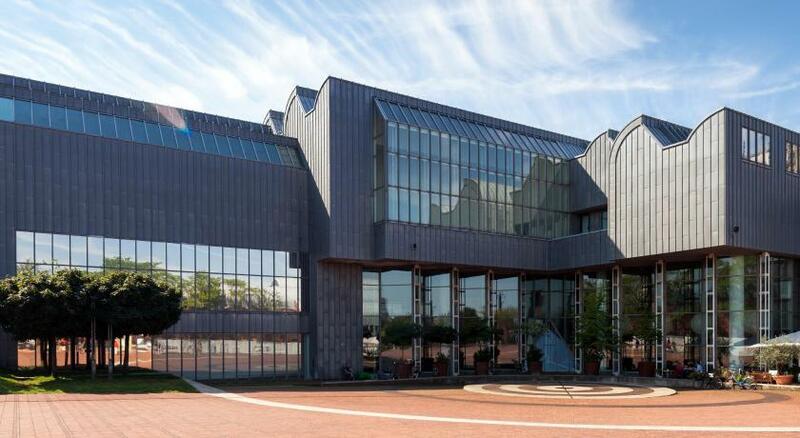 It offers a large beer garden and daily breakfast buffet. The privately run Rhein-Hotel St. Martin provides bright, spacious rooms and family-friendly apartments with satellite TV. WiFi is available in the whole hotel. Guests at the Rhein St. Martin can dine in the Ständige Vertretung restaurant and summer beer garden, or relax in the nearby garden and sunbathing area. 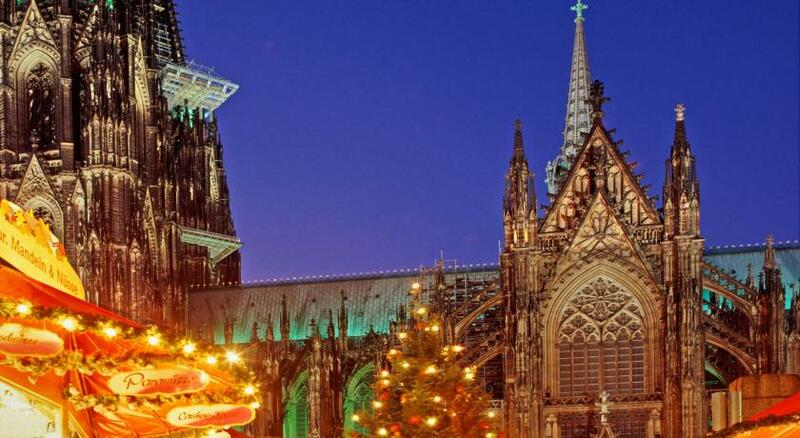 Sights near the Rhein-Hotel St.Martin include the Groß St. Martin church, just a 3-minute walk away. 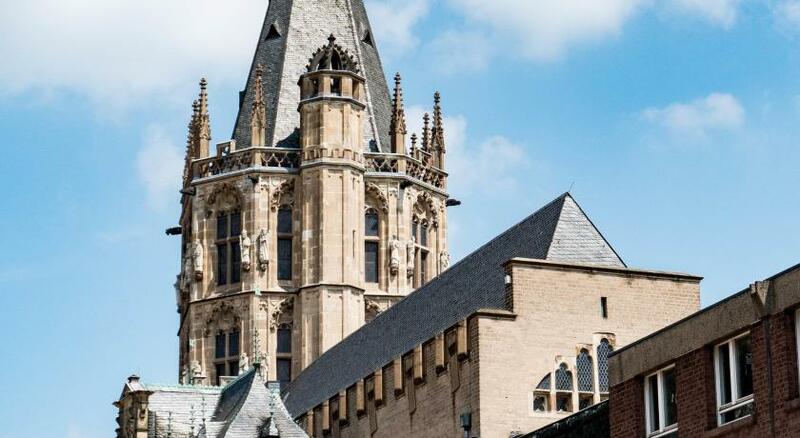 뀐 Located in the real heart of Cologne, this property has an excellent location score of 9.3! When would you like to stay at Rhein-Hotel St.Martin? Homelike room with a satellite TV, safe and telephone. Cozy apartment with a satellite TV, safe and telephone. The apartment is on the top floor and offers great views. Includes 2 bedrooms. Up to 4 people can be accommodated (see Hotel Policies). 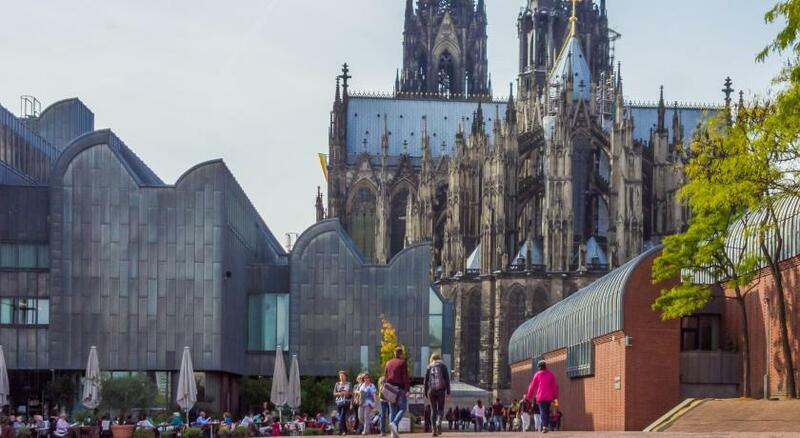 Area Info – This neighborhood is a great choice for travelers interested in museums, cathedrals and shopping – Check location Excellent location – show map Guests loved walking around the neighborhood! House Rules Rhein-Hotel St.Martin takes special requests – add in the next step! Rhein-Hotel St.Martin accepts these cards and reserves the right to temporarily hold an amount prior to arrival. Please call the hotel in advance if you plan to arrive before 1 pm. Superb location, very close to train station and restaurants.. Our room had river view as well.. Breakfast room is beautiful, had enough options. 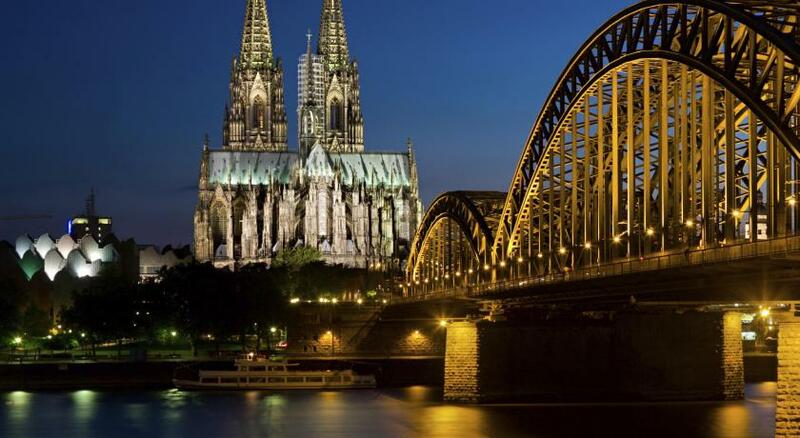 I will stay again whenever i come back to Cologne. Noisy outside. Beds were creaky. The hotel would benefit from a bit of refurbishment. At the entrance it even looks quite fancy, but as soon as you climb the stairs that impression fades away quickly. The sound isolation is not ideal. The furniture in the room is very basic, and an advice from an interior designer could be considered. The fact that the toilet is in the corridor somewhat reduces the level of comfort as well. As regards the internet, it is interesting that I was only given access for 24 hours, even if I was staying for two nights. Not sure what the policy on that is. The location of this hotel is excellent, as it is close to the main places of interest in Cologne as well as restaurants and bars. It is also walking distance from the railway station. I also particularly enjoyed the place for breakfast - you can simply have your morning coffee while watching the Rhine flow by. The walls of the restaurant where the breakfast is served are decorated by pictures from the post-war German history. Any historian or political scientist will have a blast exploring those. Tiny room with no charm. No elevator~ but the higher room you live, the better view you have. Wonderful location and views. everyone is friendly and willing to help for any requests. Currently renovation for the paint and drywall smells was a bit over-whelming in the hallways but not in my room. The breakfast seemed overpriced so I did not get it. Excellent location (walking distance with luggage from the Hbf), very fair price, and good clean room for a single person stay. Very nice staff. Quite noisy outside late at night along the river bank, remedied by closing the window. Aged building, OK facilities. Rooms smell a bit of the old carpet. Location is awesome. Personnel is nice. 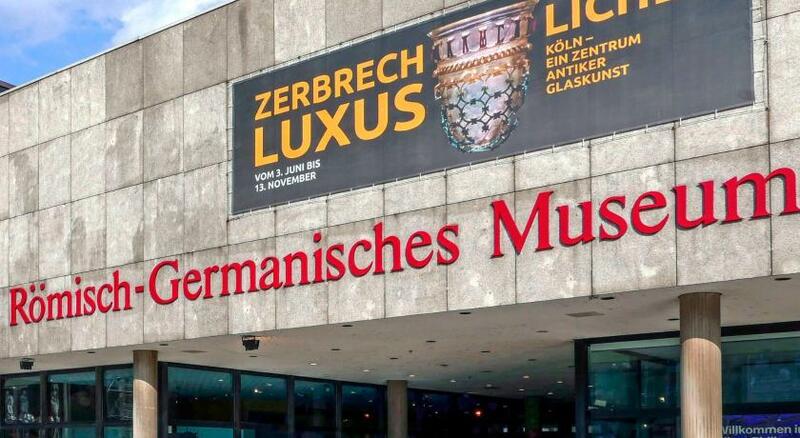 Worth a stay for one-two days. Walls were quite thin, heating wasn't working and the light in the shower was broken. The location was great, really close to train station and next to the river. Facilities were also good. Shower took long to heat up. No lift. Location superb for Koln Messe. Within walking distance. Comfortable mattress. The room was very basic and unfortunately the decor was like something from the 80s. It was clean but felt more like a hostel than a hotel. The staff were very nice and friendly. At the time of my stay the hotel was being redecorated and there was a lot of noise in the mornings. I had earplugs so it wasn’t too troublesome but has I not I would not have been happy. I was happy enough with my room but unfortunately it was very basic, tired and needs a thorough update. This is one step up from a backpackers hostel. It was noisy damp poorly lit. We stayed for 2 nights and they didnt clean the room for the second night. Beds were like rocks, moreover, we got waken up many times because their workers were fixing something with hammers. We mentioned that to the front desk and we didnt even receive an apology from them. They have no lift.